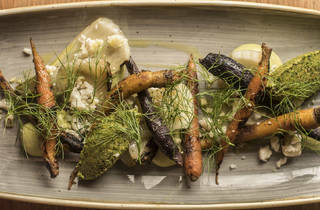 Chicago warms up to vegetables at Heisler Hospitality’s Randolph Street restaurant. Chicago is a meat and potatoes city. 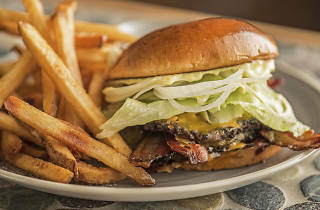 We love our burgers and steakhouses deeply and unabashedly. 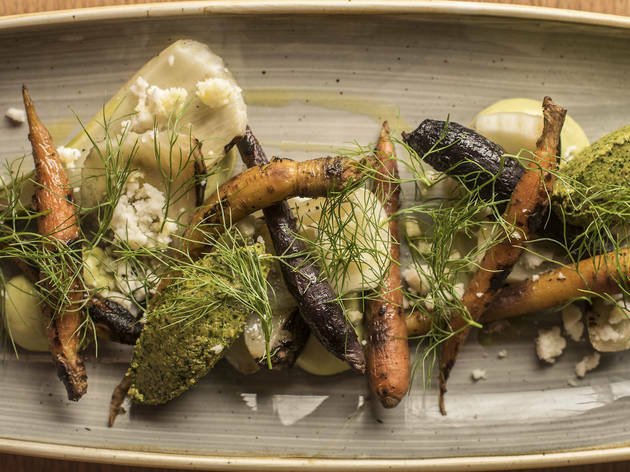 So when we found out that Heisler Hospitality (Pub Royale, Queen Mary Tavern, Sportsman’s Club and others) was opening a vegetable-focused concept on Randolph Street, we were curious how Chicago would react. As it turns out, this meat-loving city has a thing for veggies, keeping Bad Hunter regularly packed most nights of the week. We’re also going to tell you something you won’t hear often—skip the meat. Chef Dan Snowden (Nico Osteria) makes veggies the main course here, and it totally works. Start with the beet tartare, presented ruby-red and tender (just like its beef counterpart) alongside house-made flaxseed chips. Maitake mushrooms are dressed up with parsnips, smoked pecans, parmesan shavings and lavender. The end result is so savory and hearty that you won’t miss your usual steak. But you can’t visit without ordering the butter dumplings (admittedly, we’re suckers for anything with the word “butter” in its name). The flavors packed inside these perfectly wrapped dumplings change up seasonally (right now, they’re stuffed with cucumber kimchi, charred fava beans and seaweed), but we wouldn’t hesitate to order this dish again and again. 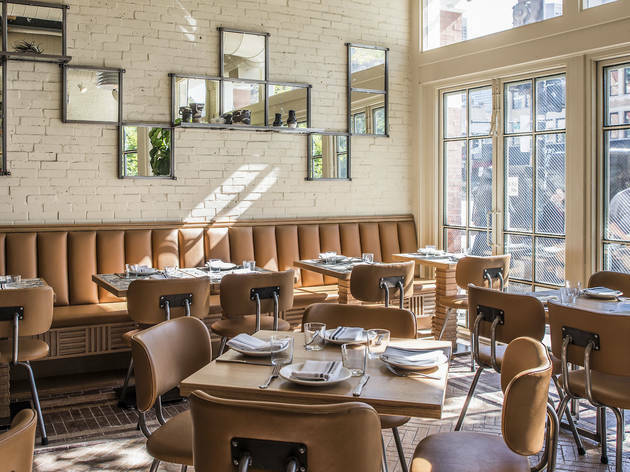 Bad Hunter’s interior boasts a lush, trendy vibe to match the menu. With sun-drenched windows, white-washed walls and verdant greenery, the restaurant feels like a cozy greenhouse. The space itself is larger than expected for West Loop, as the rock-lined bar and kitchen only take up a small portion of the restaurant. But don’t let that fool you—reservations are key here, and walk-ins should expect to wait for a table. 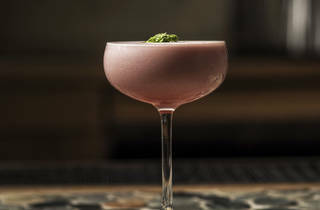 If that happens, we recommend heading straight to the bar, where Josh Fossitt (Sportsman’s Club, NoMad in New York) is heading up the cocktail program with plenty of low-ABV options to encourage guests to keep sipping all night. Our favorites were the spicy carrot cooler with carrot juice, Jamaican jerk bitters, pineapple and tequila and the trendy mermaid water with dry vermouth, gin and rhubarb. The restaurant is also open for lunch, giving us more time to belly up to the bar and feed our soft spot for veggies. Atmosphere: Green, lush and refreshing. 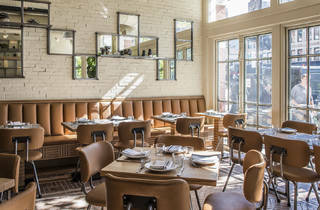 Bad Hunter is open and airy with touches of trendy décor everywhere—from succulents and greenery on the back bar to the river rock-adorned bar. What to eat: Our absolute musts on any given night are the butter dumplings and maitake mushrooms. Other highlights include tempura-fried lemons and anything with ‘shrooms. What to drink: A refreshing and slightly spicy carrot cooler is delicious, but we also loved the Black Andalusian Turf with vermouth, sherry, añejo and coffee liqueur to end the night. Where to sit: There really isn’t a bad seat in the house, but if you’re looking for drinks, head straight to the bar. El: Green & Pink line to Morgan. Bus: 8. DAMN GINA! This place is delicious. Meat heads...don't let the veggie focus steer you away. They have lots of things on the menu...for all tastebuds. All of the food was excellent. The atmosphere was bumping on a Thursday night. The cocktails did not disappoint either. Overall, I was very pleased with bad hunter. I will be back! I consider myself an equal opportunity omnivore, which means I don't discriminate when it comes to veggies or meat or other and this place definitely delivers on the vegetarian options. Do you ever want to leave a meal and feel good about yourself? This is the place to do it. I had a girls night here, sat outside in their lovely sidewalk seating, and had the most pleasant experience. It's shared plates which is my favorite style of eating, and the dishes are not terribly small so its worth the price. We had the seafood hot pot which had incredible flavor, the charred squash salad that was perfectly in season, the Nori crip which came with a green chickpea hummus that was out of this world, and the best dish of all was the ceviche - tangy, with little crispies that had a perfect combination of textures. But let me rewind - the COCKTAILS were amazing!!! I would actually go back just for these bad boys, they were sooooo good - especially the carrot cocktail which had a super nice kick to finish. We had this incredible zucchini bread dessert that came with parmesan ice cream that was an incredible balance of sweet and savory, and some awesome campari apertifs to cap off our MONDAY NIGHT meal. It was incredible and i will 100% be back. LOVED IT! Oh also, the bathrooms are covered in actual dried flowers saved by botanists from the 80s and 90s... love this local touch to the Illinois greens and grasses. Even the flowers in my drink were picked from a nearby rooftop garden. LIKE SERIOUSLY. This place is phenomenal. 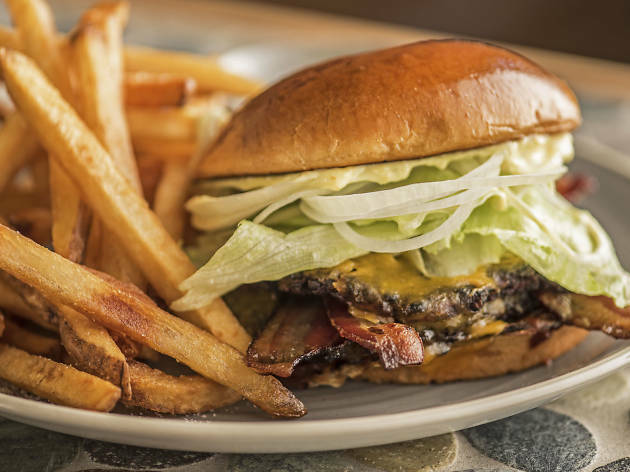 The vegetarian options far succeed anything that Chicago has offered in terms of fine dining. 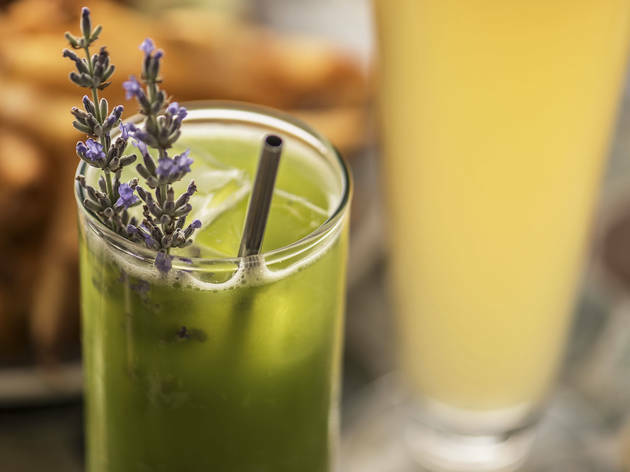 The items are unique and presented well and the drinks are divine as well. The Grilled Cheese isn't your regular grilled cheese and you will be torn on what to eat, but that just means you need to go back again to try the rest of the menu. Definitely recommend! THE WINE LIST! Awesome selection of red, white, rose and orange wines from sparkling to still that are show stoppers. 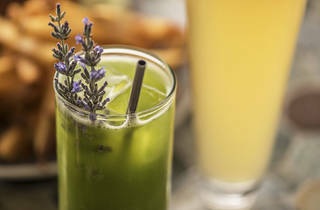 Excellent rotating cocktails and seasonal menus make this vegetable-forward restaurant a must during spring and summer to taste the ever-changing bounty. Favorites: the ramps done 3 ways, pea tenrils, the sourdough bread, and gnocchetti. Sit at the bar, chat with the 'tenders and educate yourself on all this place has to offer! This vegetable centered restaurant is an absolutely beautiful addition to restaurant row in West Loop! I haven't seen such creative dishes with flavorful veggie and grain combinations since Green Zebra. The space has a green house aesthetic full of plants and airy windows, but at night it is candlelit and lovely enough for a date night. I was impressed with the fried sunchoke special but was officially won over by the butter dumplings with shiitake mushroom and kimchi. The beautifully plated fry bread and burrata will fill up your friends who may doubt that you can get stuffed from a vegetarian meal. I also loved my fun All That Glitters cocktail which is rum based with gold leaf and a novelty black color from activated charcoal. I am in love with Bad Hunter! A friend and I went a week or two after they opened and I cant sing their praises more. We decided to sit at the bar and I couldn't be happier about it. The staff was helpful in recommending dishes and drinks, and while the food was great (try the butter dumplings!) 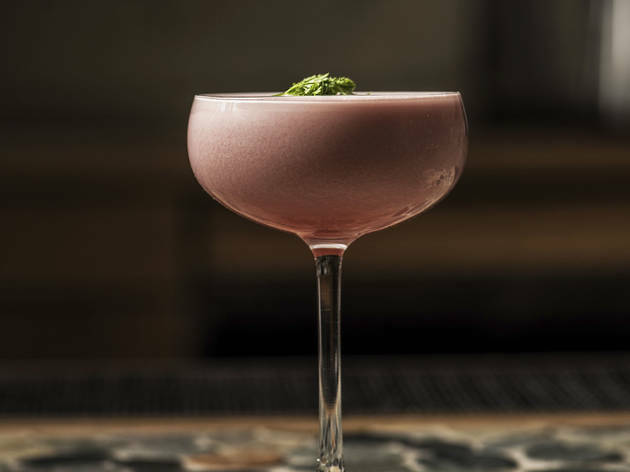 its the cocktails that really stole the show. They were as pretty as they were tasty, but watch out, they carry a punch!